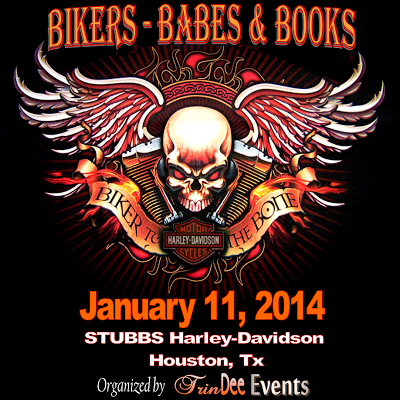 BIKERS-BABES & BOOKS is a themed book signing taking place at STUBBSHARLEY-DAVIDSON in Houston Texas. This event will feature multiple authors whose books are biker themed or have a main character who rides a motorcycle. Only 30 tickets available so get yours fast!